Venus De Fido is bringing the Hot Coco and Warm Apple Cider to frame some cozy community holiday events while continuing to serve as a toy drop off location for the Toys for Tots charity until December 10th. When groups collaborate with Venus to create programs and productions offered to their community, the staff at Venus De Fido focuses on the vision of the group and dedicates themselves to assisting in bringing it to fruition. This opportunity to be of service is genuinely appreciated by the staff at Venus De Fido. Those under the Grand Venetian Dome located in central Palm Desert have expressed their care and desire to be of particular benefit to the Coachella Valley Community. 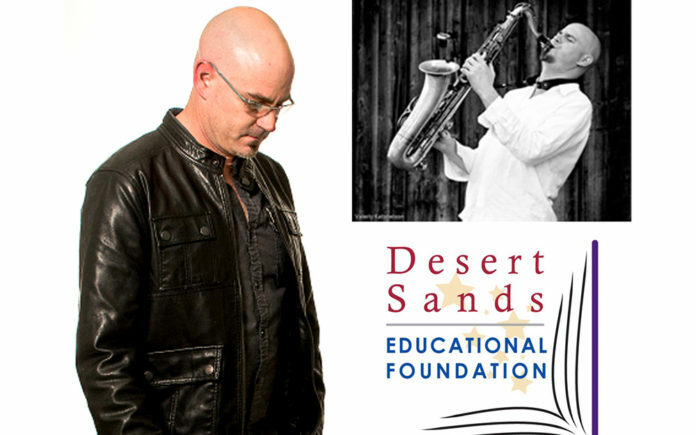 November 29th 6 – 9 pm: (DSEF) Desert Sands Educational Foundation’s fundraiser at Venus De Fido hosted by Saxophonist Jason Weber. This dinner and concert fundraiser to benefit Desert Sands Educational Foundation’s upcoming event: CAMFest (Children’s Art and Music Festival); a community event scheduled to be held at the Indian Wells Tennis Gardens on December 15, 9:30 am – 4 pm where local student projects and productions will be honored and special guest Nathan Harrell will perform East is an American jazz, R&B and Rock for the community of DSEF supporters. Local Schools Participating in CAMFest on Dec. 15: Dr. Reynaldo Carreon Elementary, Carrillo Ranch Elementary, Carter Elementary, Ford Elementary, Franklin Elementary, Hoover Elementary, Jackson Elementary, Kennedy Elementary, Reagan Elementary, Van Buren Elementary, Colonel Mitchell Paige Middle School, Desert Ridge Academy, Indio Middle School, Indio High School, La Quinta High School, Palm Desert High School, Shadow Hills High School, Xavier College Prep High School, Eisenhower Elementary (tickets only), Monroe Elementary (tickets only), and special thanks to Xavier College Prep High and the Academy of Musical Performance. The Venus at Venus De Fido will continue to collaborate with the Desert Sands Educational Foundation as we move toward the new year with monthly fundraisers on the 2nd Friday of each month, showcasing different local musicians in the Coachella Valley community. Saturday, December 1st 6 – 9 pm: Moonbaby in Concert at Venus De Fido. Moonbaby is an alternative rock band from Coachella Valley that has been together 5 years and play all original music composed by the band. They have twice been Semi-Finalists for the “Tachevah” Festival and have had two songs used in a pilot for a now sitcom in Hollywood called “Thanks for Trying”. The band believes that music is a way to keep the mind active and believes music promotes health and overall wellbeing. Monday, December 10th 5- 7 pm: Hanukkah Wrap up Party. This special event is hosted by David Hirsch who has a special interest in providing the community with time together to celebrate the end of another beautiful Hanukkah season. Hirsch will be conducting a group of his young students in offering some Traditional – Hanukkah music.